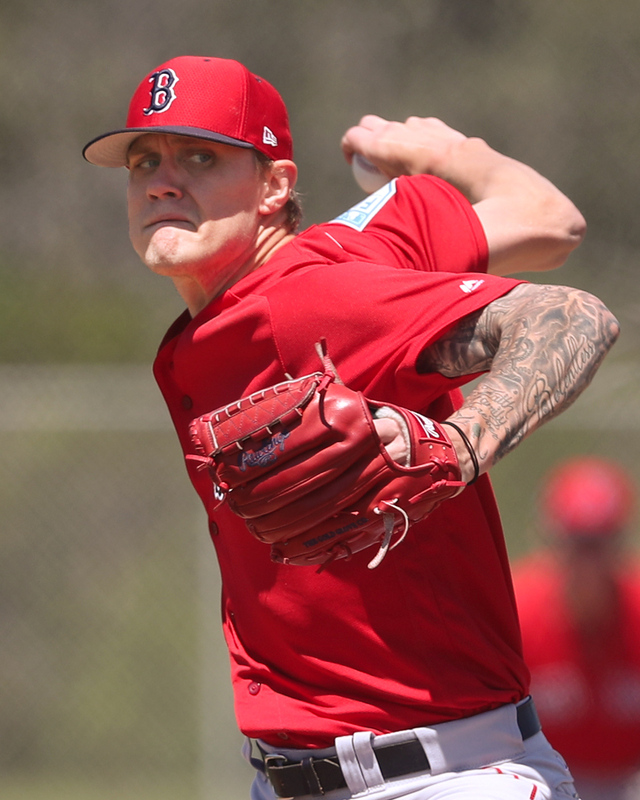 For Part Two of our look at the best the Red Sox system has to offer entering 2019, we look to the mound and honor the pitchers selected as SoxProspects.com Pre-Season All-Stars. The honorees herein trend older than those in the first post, with six of the seven hurlers herein beginning the year in Pawtucket or Portland. Hernandez earned a 40-man roster spot in advance of December's Rule 5 draft and will begin 2019 with the Sea Dogs. He was initially called up to Portland on August 22 last year after a strong season in Salem, pitching exclusively in relief as he neared his innings limitation for the season. 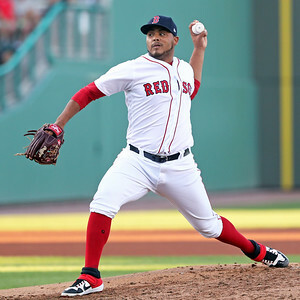 Although that exposure to relief work, combined with a breakout performance pitching in relief in the Arizona Fall League and a fantastic stint in big league camp during Spring Training led many to wonder if the Red Sox might fast-track the 22-year-old to Boston as a reliever, the organization will with Hernandez as a starter to start the year. The second-ranked prospect in the system led pitchers with at least 100 innings by a full walk with 5.55 walks per nine last year, but he also outpaced the same arms by a strikeout and a half at 11.27 strikeouts per nine, showing the enticing mix of unhittable stuff and need for improvement with command/control that lead to continued speculation regarding his future. Houck, ranked fifth in the system, will join Hernandez in a formidable Portland rotation. 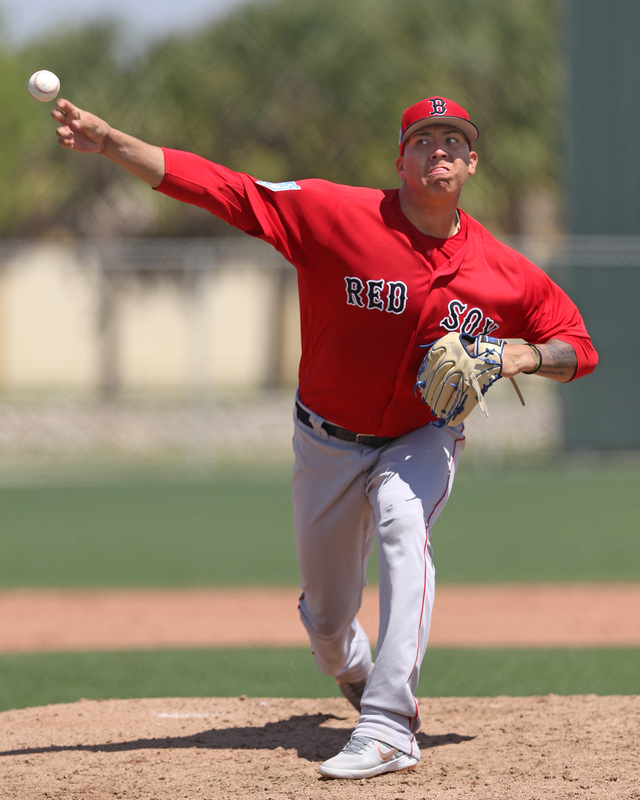 The 2017 first-round pick showed SoxProspects.com Director of Scouting Ian Cundall a strong fastball and slider mix down in camp, showing promising stuff and the potential to cut down on the 1.43 WHIP he registered in Salem in 2018. Houck was good at preventing contact, as he allowed less than a hit per nine innings, but he struggled with control, issuing 60 walks in 119 innings last season. Houck likely projects to move to the bullpen long-term, but if he improves his control and uses his change-up effectively, he could be a formidable opponent for Eastern League hitters in 2019 and keep the possibility of moving forward as a starter alive. The Maryland product is one of two Pawtucket arms on the preseason all-star list. 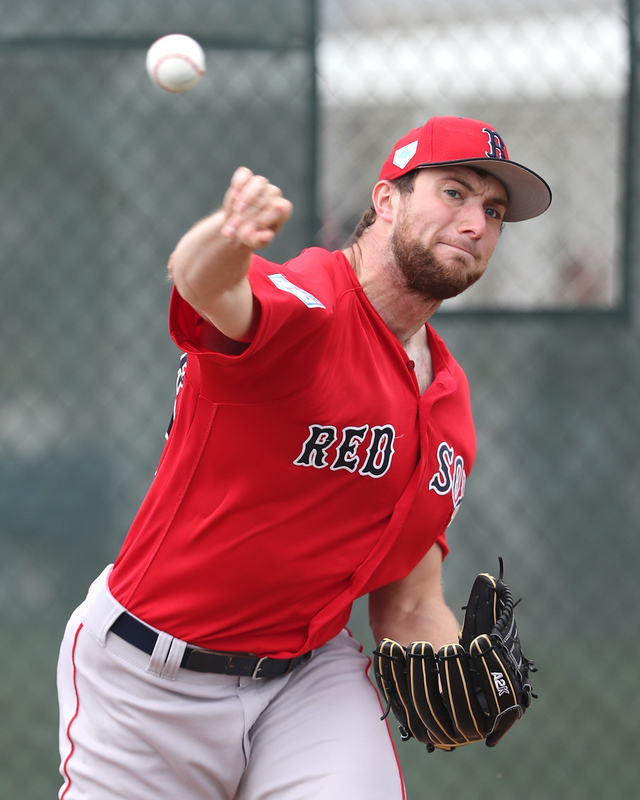 Shawaryn was working on his slider in Spring Training and will begin his first full season with the PawSox after earning the call-up for the first time on July 5. Between Portland and Pawtucket in 2018, the 24-year-old had a 1.12 WHIP, good for third in the system among pitchers with more than 100 innings. A primary reason for that low number was his 38 walks in 149 1/3 innings. He was also fourth in the system in OPS against, at .556. 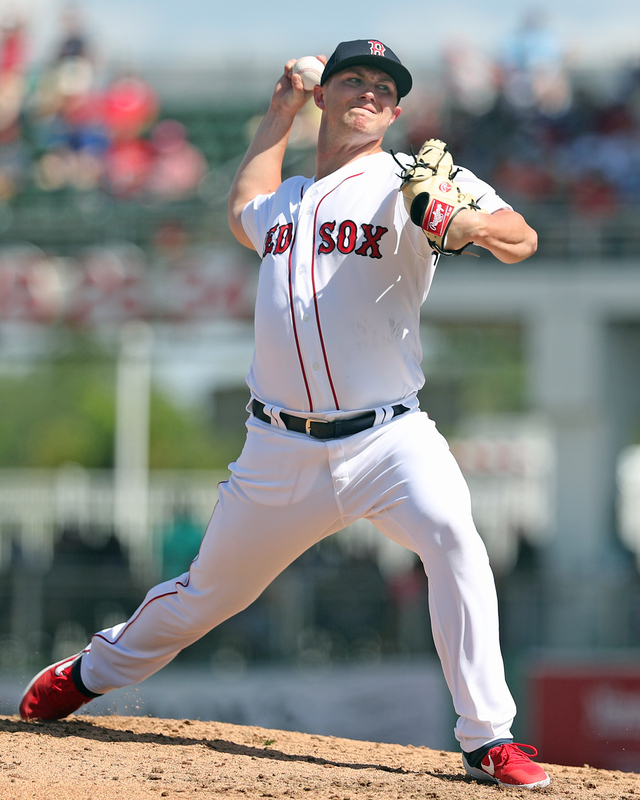 Although the presence of Brian Johnson and Hector Velazquez in Boston means the club has a reduced need for spot starts from the Pawtucket rotation, continued success at the Triple-A level could put Shawaryn squarely in line for a call-up should the big league club need an arm at some point this season. Mata will begin the year in Salem after notching only 72 innings at the level in 2018, missing two months due to injury and struggling with command and control when he was on the mound. Still, was the youngest player in the Carolina League for most of the year, and repeating the level is fine for the 19-year-old's development. Mata walked nearly as many batters (58) as he struck out (61) last year, but he excelled at limiting hard contact as opposing hitters slugged .281 against him and had a 57 percent ground ball percentage. Mata showed a "promising" new pitch during camp, an offering that waivers between being a cutter and a slider at this point. While his stock is slightly down from this point last season, the system's number 10 prospect could easily straighten things out if the new pitch helps him miss more bats and get more hitters to chase. Feltman is one of four Sea Dogs earning a preseason all-star nod. The TCU product entered the system as a third-round pick in 2018 and pitched at three different levels. The Texan, who will turn 22 on April 18, struck out an impressive 37.8 percent of batters faced in 2018, registering 36 punchouts in 23 1/3 innings. His strikeout percentage led all pitchers in the system with at least 20 innings pitched. Feltman is ranked ninth in the system and leverages an upper-90s fastball to overwhelm hitters. Already the first player from the organization's 2018 draft class to reach Double-A, Feltman could easily reach Boston by season's end. Lakins was also added to the 40-man roster over the winter and will start 2019 in Pawtucket. The 24-year-old moved to the bullpen last season after completing his rehab from a second stress fracture in his pitching elbow and took off. After moving to a true bullpen role, Lakins struck out 37 hitters in 37 1/3 innings, posting a 1.21 ERA and .140 batting average against. His 6.2 percent walk percentage also rated as one of the best in the system. Lakins uses his control and four-pitch arsenal to keep pitchers off balance, and may contribute at the big league level during 2019. 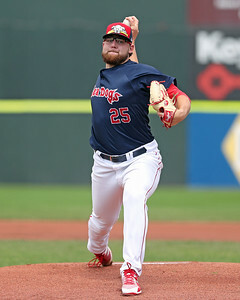 The only pitcher to eclipse Feltman in strikeout percentage (38.5 percent) if one casts a wider net on the 2018 season out to those with at least 10 innings, Schellenger will help him form a formidable back end of the Portland bullpen to begin 2019. The no. 20 prospect in the system only pitched 16 1/3 innings between Greenville and the GCL due to back issues and a shoulder impingement last year, but he showed enough stuff in the Fall Instructional League and spring training to merit skipping Salem entirely. Schellinger's fastball reaches as high as 95 mph with cut in to right-handed hitters and limits his walks, recording only four last season.